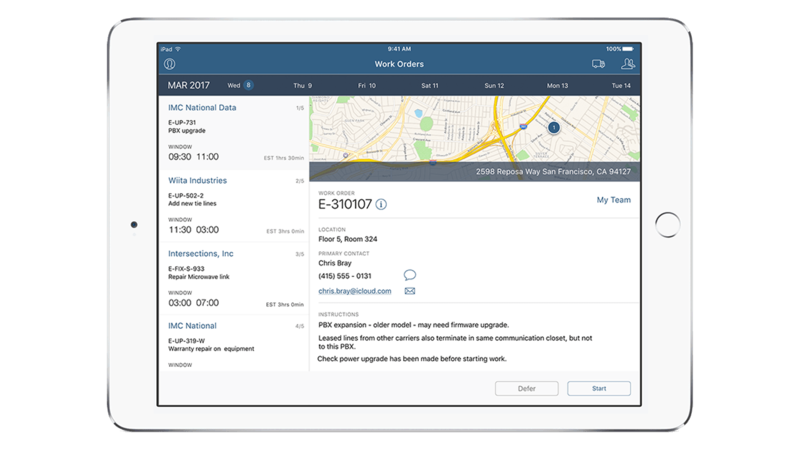 IBM MobileFirst for iOS Business Tech helps field technician’s better handle service events and meet service level agreements for enterprise contracts. Empower field techs to diagnose issues and speed service restoration. Improve the speed and quality of property build outs. Enable efficient, effective maintenance and service. Increase add-on product and service sales with better data. Conduct service performance testing in the field using mobile devices.